The Pinole Creek Fish Passage construction, which was administered by the Contra Costa Resource Conservation District was located at the Pinole Creek Culvert at I-80 (City of Pinole, CA) on property owned by the California Department of Transportation, Contra Costa County Flood Control and Water Conservation District, the City of Pinole, and on private property. 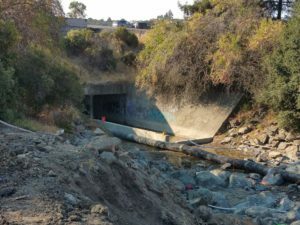 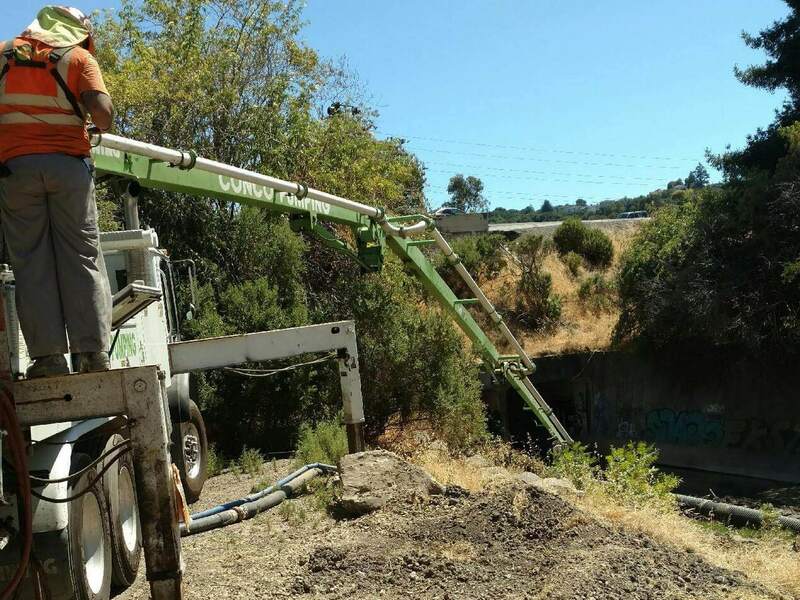 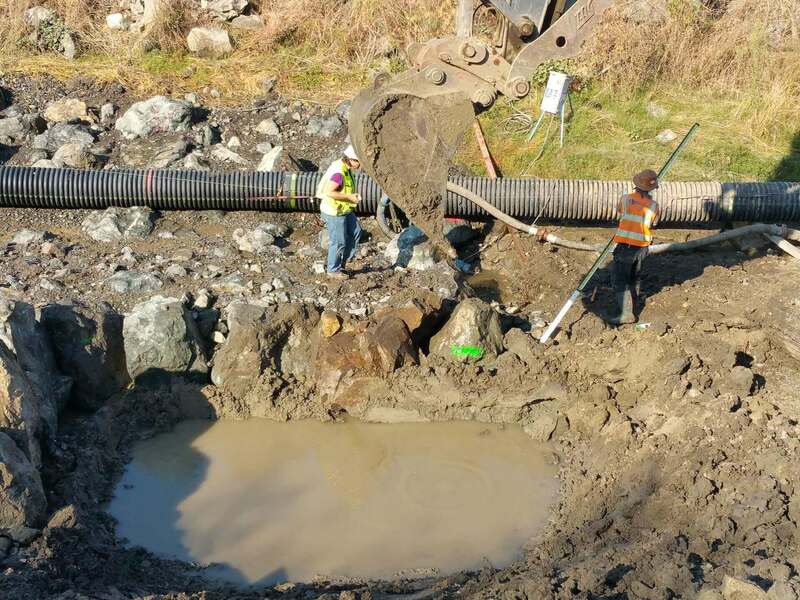 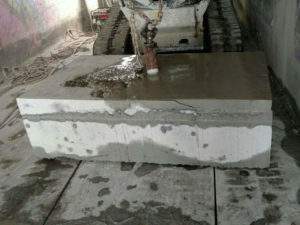 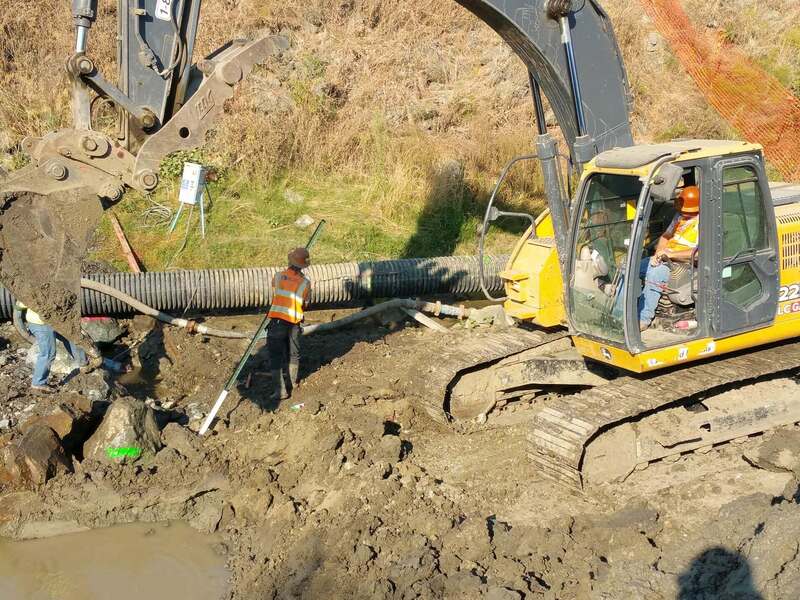 The Project entailed the construction of fish passage improvements on the existing culvert of Pinole Creek at I-80 Milepost 8.4 by building a concrete notch with baffles in the culvert, training walls on the culvert aprons, a terminal rock pool, and a rocked chute in the downstream channel. 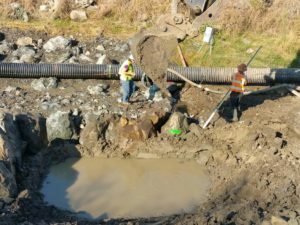 In order to gain access to the work, a creek diversion was necessary using a coffer dam and dewatering. 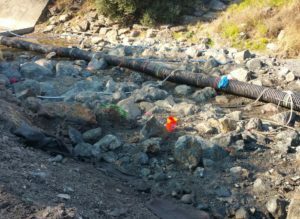 The work was constructed under the exacting direction of biologists and engineers to ensure the maximum benefit to fish and other biological resources.